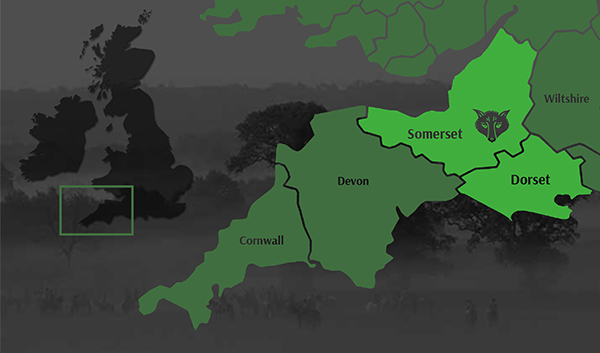 Blackthorn & Brook arranges luxury riding holidays in the South West of England. We provide safe, good quality horses and have exclusive access to some stunning countryside. On the border of Somerset & Dorset we’re based in a super place for riding. On our doorstep are the rolling hills of Dorset and the picturesque wooded valleys of the Stourhead Estate. We also arrange riding on Exmoor, the New Forest and the long sandy beaches of the North Devon Coast. Rides range from a couple of hours to full day expeditions of 25 miles. As you’d expect from any Blackthorn & Brook vacation we provide top-quality horses that are matched to your experience and ability. You can expect to stay in one of our cosy partner pubs or hotels. We make reservations throughout your stay at our favourite local eateries. When you’re out riding we provide gourmet picnics in picturesque spots. For photos from our riding holidays see our gallery here. Relax and enjoy Blackthorn & Brook’s uncompromising hospitality: Range Rover & driver, airport transfer and of course the sorts of magical experiences we build into our trips as standard. For an example itinerary see ‘for Love of Riding’.